Amazon Future Engineer students at New Dorp High School in Staten Island, NY. Update: On Feb. 21 Amazon announced that Amazon Future Engineer will fund computer science courses in more than 1,000 high schools, across all 50 states and the District of Columbia, reaching tens of thousands of students from underprivileged, underrepresented, or under-served communities. More than 700 of those schools are classified as Title I schools. Jennifer Tulipano's students had been asking for an engineering class. And for the past two years, the science teacher at Monsignor Scanlan High School in the Bronx explored ways to offer them one—but all of the curriculum she found was prohibitively expensive. Instead, the school offered physics. "That was as close as we could get," Tulipano says. But at college fairs, she watched students veer away from the tables for engineering schools, figuring they didn't have the coursework and background to even consider applying. In September, Monsignor Scanlan finally got the classes that kids had been asking for. 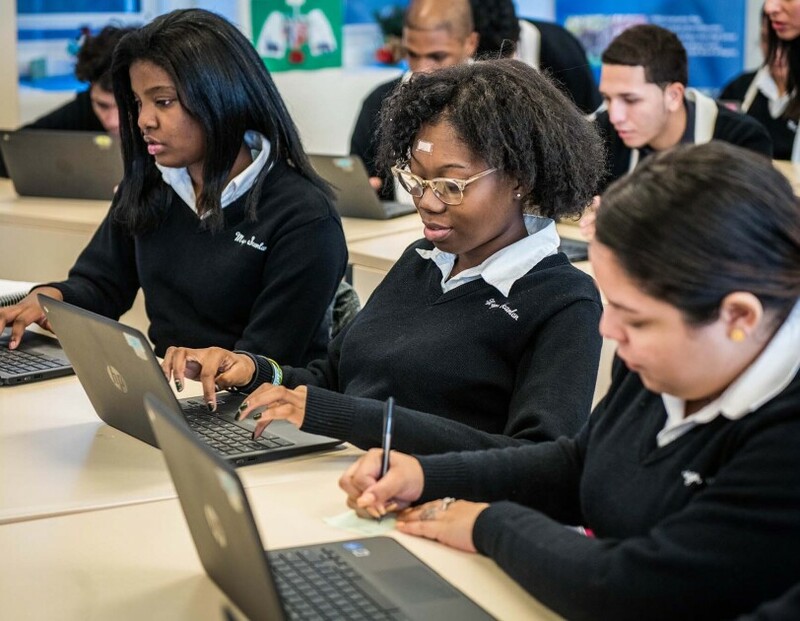 Juniors and seniors are now studying computer science through Amazon Future Engineer, a program that aims to expand educational opportunities from kindergarten through college, especially to young girls, underrepresented minorities, and those in underserved and low-income communities. "They are running with it," Tulipano says of her students, adding that the coding modules allow them to be creative, think critically, and solve problems. "They're seeing a new way they can implement the skill sets they already possess." Job opportunities in STEM (science, technology, engineering, and math) are exploding, but the U.S. supply of ready applicants is not. In computer science alone, the number of available jobs in 2020 may outpace qualified candidates by a factor of three. And available talent doesn't reflect the wider population: Women, for example, earn just 18 percent of the undergrad computer science or engineering degrees, even though they make up more than half the population; African-American and Hispanic students also have been underrepresented; while just a tiny minority of students from disadvantaged backgrounds earn a degree in computer science. Amazon Future Engineer aims to inspire more than 10 million kids per year to explore computer science through coding camps, classes, college scholarships, and internships. 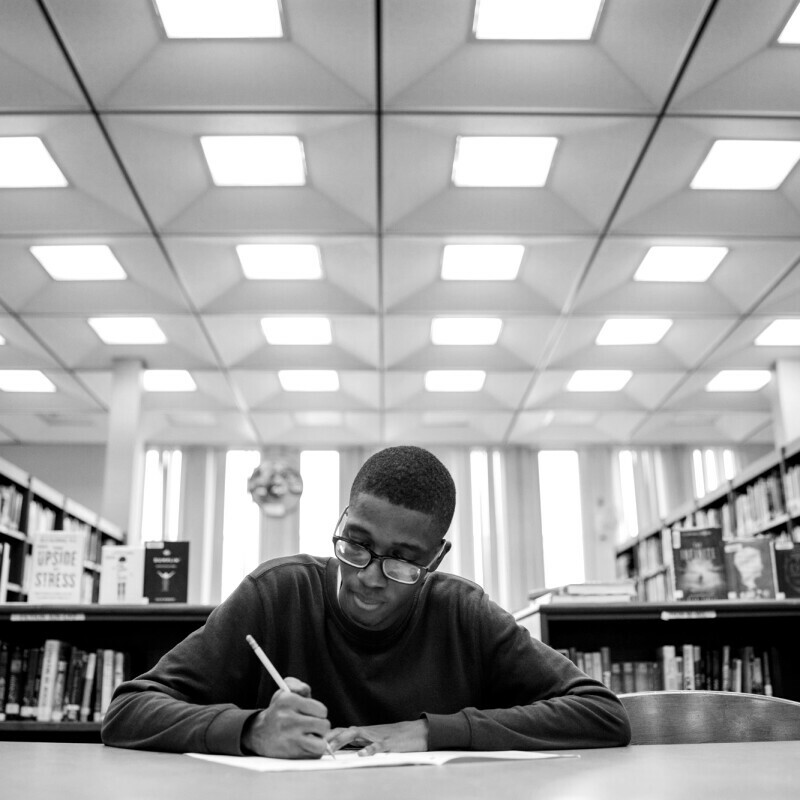 That includes funding both introductory and advanced placement high school courses for more than 100,000 underprivileged youths in 2,000 low-income high schools across the U.S.
Studies suggest that exposing young children to STEM and computer science motivates them to stay interested long-term—through high school, college, and beyond. 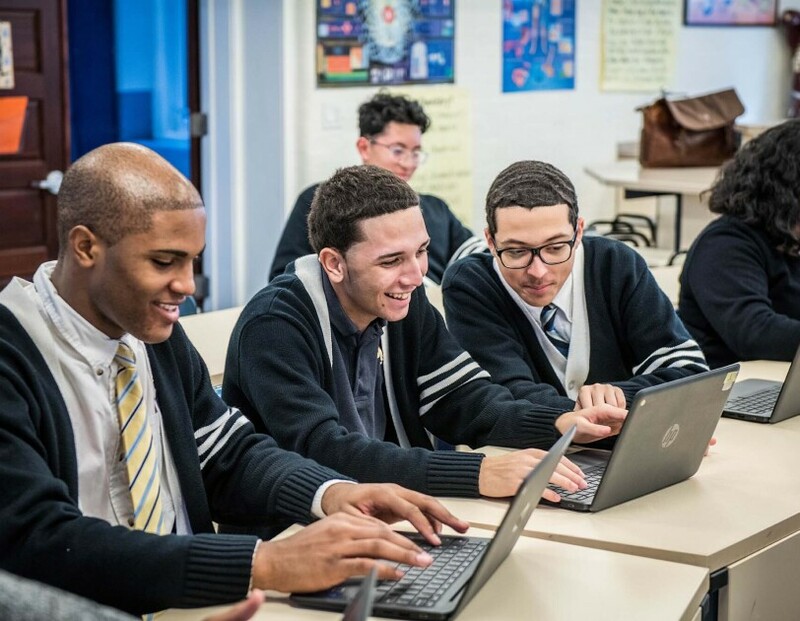 Likewise, research shows that underprivileged students are up to 10 times more likely to pursue college degrees in computer science if they have taken AP computer science in high school. Amazon hopes that this program will inspire a greater number of students—to reach their full potential as the next generation of innovators. 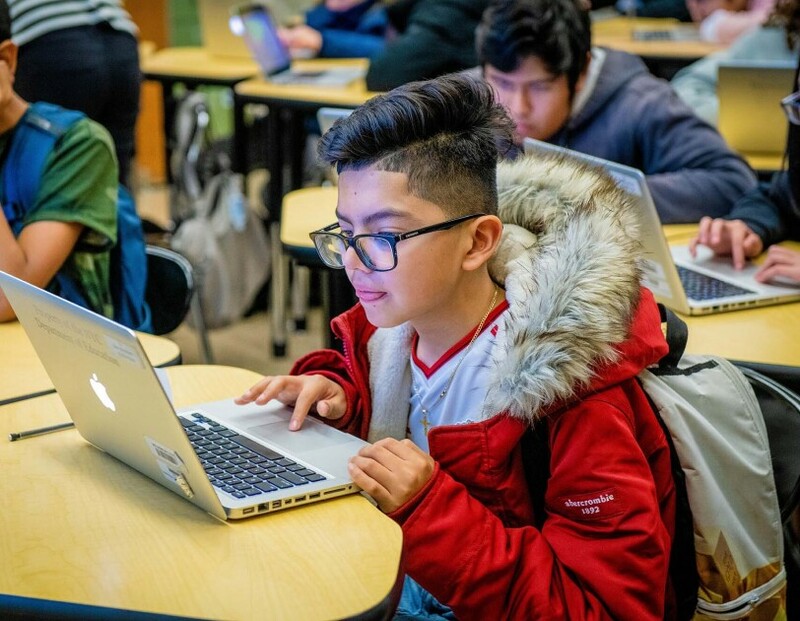 For kids from kindergarten through eighth grade who live in communities currently underrepresented in tech, Amazon is funding online lessons and camps through partnerships with organizations such as Code.org and Coding with Kids. Through this partnership, Amazon Future Engineer joins Code.org in hosting Hour of Code, a global movement that extends to tens of millions of students in more than 180 countries. 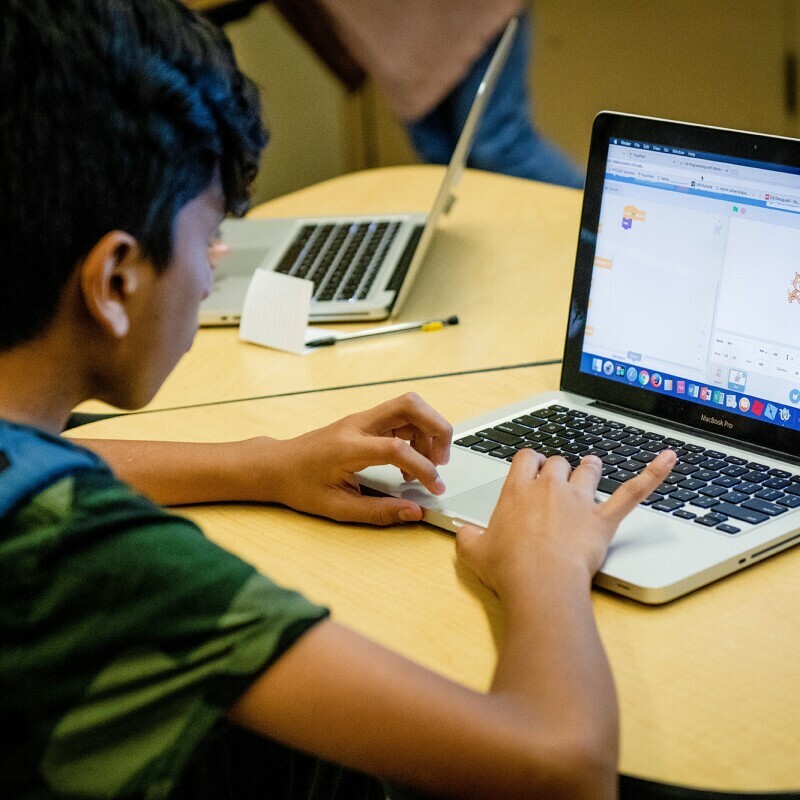 During the Hour of Code, kids across the world are invited to try their hand at coding for just one hour, using tutorials that are available in more than 45 languages. This year’s lesson, called Hour of Code: Dance Party, invites kids to program their own choreographed dances set to popular music from Ciara, Katy Perry, Sia, Keith Urban, and others. In focusing on dance, the program leaders hope to reach even more female and underrepresented students. Exposure that extends across the entire educational spectrum, from early education through university, makes Amazon's Future Engineer program unique, says Kimberly O'Malley, senior vice president of education and workforce development at the research firm RTI, which Amazon consulted to help inform the development of the program. "There can be lots of excitement around STEM careers. We just need to inspire children early," adds O'Malley, adding that the field also needs more diverse role models. "It's hard to be what you can't see." Carletta Ooton, an Amazon executive with three science degrees who sits on the board of the nonprofit state group Washington STEM, echoes O'Malley's point about modeling careers for younger kids. "We have to drive change by getting girls excited about science early," she says, "helping them see themselves in science as a real career opportunity." 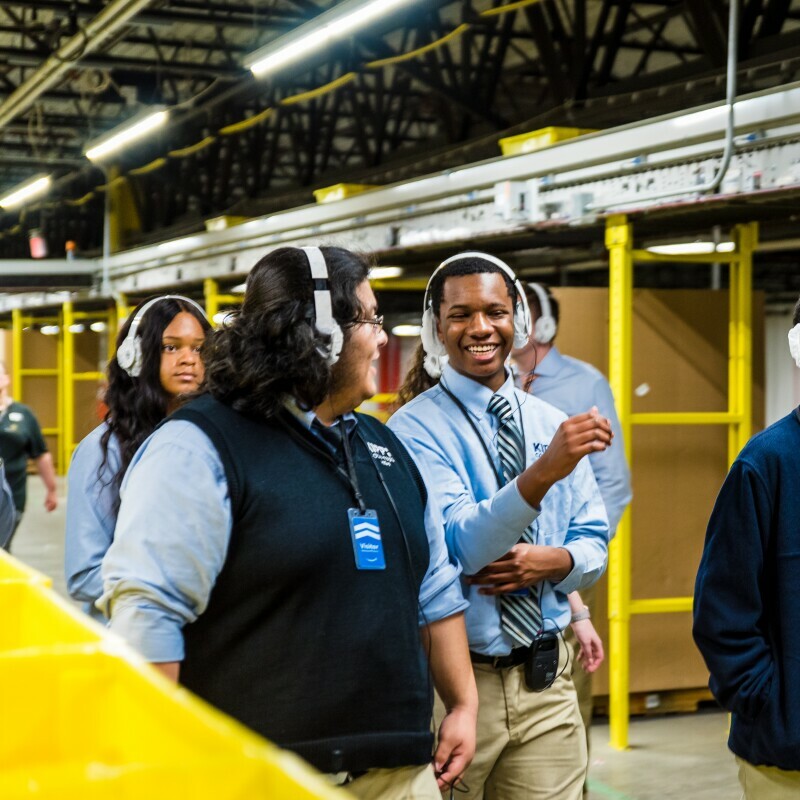 Amazon has partnered with Washington STEM on separate initiatives, such as hosting educational visits to Amazon offices and fulfillment centers. "How do I get in your class?" At Monsignor Scanlan, Tulipano felt a bit tentative about teaching computer science—she had no background in it. But she says the online curriculum was accessible and offered plenty of support. Overcoming her own apprehension about learning coding not only gave her the confidence to teach, but also helped her encourage wary students by telling them if she could figure it out, they could too. "That's how user-friendly this is," Tulipano says. "I'm amazed. It is so step-by-step." Jason Cordes, who teaches at Rudder High School in Bryan, Texas, did have experience teaching coding, but says the Amazon program is unique in its exploration of how computer science can be used to solve societal problems. The courses have opened up conversations among his students about everything from artificial intelligence to quantum computing to driverless cars. "I have no question [enrollment] is going to grow," he says. "I have students stopping me in the hallway asking, 'How do I get in your class?'" Mat Wisner, a senior product manager at Amazon who helped start Amazon Future Engineer, went to high school in rural Washington—one that may well have qualified for the program if it had existed then. He was interested in coding but didn't get a chance to learn until he was an undergrad. "There was a night and day difference," he remembers, "between the kids who had coded before they got to college and those who had not." Later, as a tech recruiter at Amazon, he began to see that the company not only needed more talent to hire, but also a group that reflected the global nature of its customer base. He set out to build a program that would address the gap, launching a pilot in 2017. 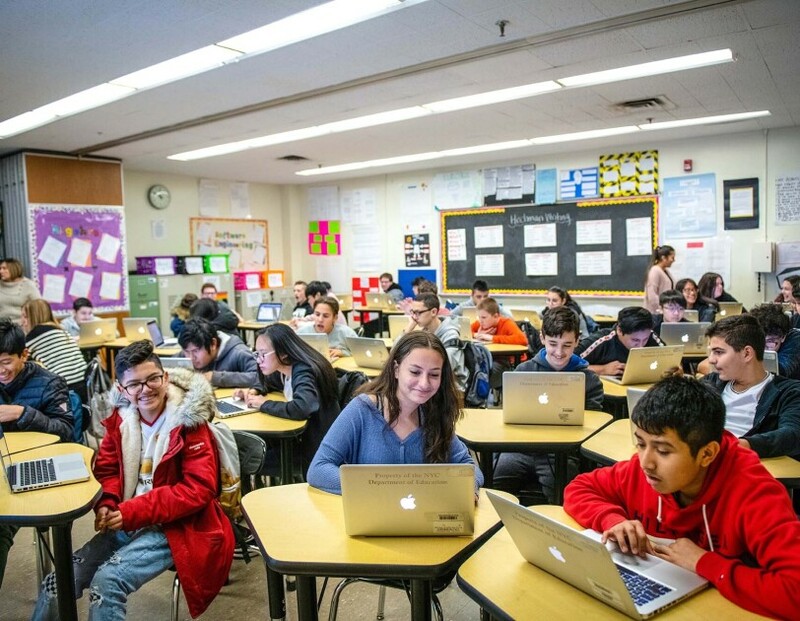 Applications from dozens of schools and students rolled in and after seeing the high interest from teachers and students across the country, Amazon launched the program in November 2018. For high school students who have completed an AP computer science course and plan to pursue an undergraduate degree in computer science, software engineering, computer engineering, or other computer related field of study, Amazon is offering four-year, $10,000-per-year scholarships to accredited universities. Those scholarship students, in turn, will be eligible for paid software development internships at Amazon. "I'm very proud now that we're showing up this way," Wisner says. "This is not about recruiting, but about providing opportunities to today’s children – it’s about giving back in an incredibly impactful way. 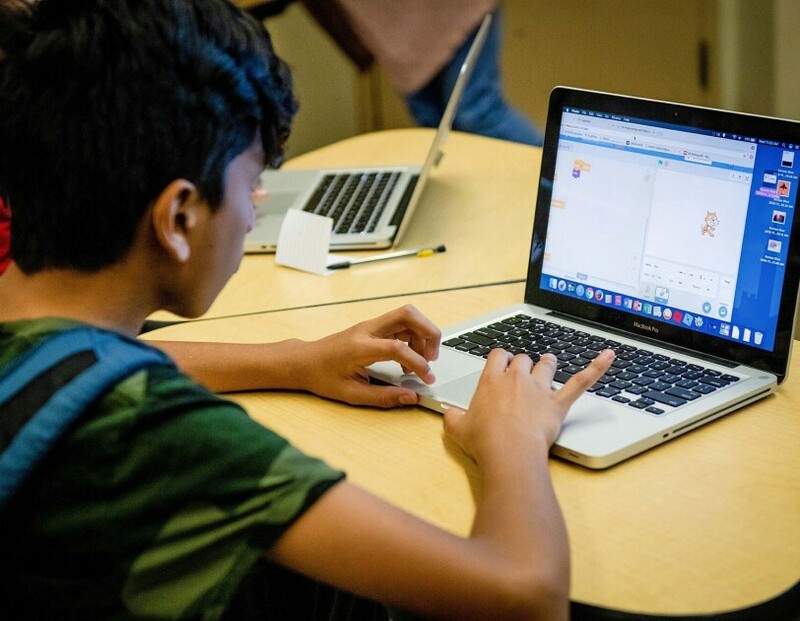 Coding will be as important as reading and advancing STEM and computer science is important. We have a part to play and we want to inspire the innovators of tomorrow." The internships offer exposure to Amazon as a company but can open other opportunities, as well. For I'Shea Boyd, a computer science major in her junior year at the University of Maryland, a highlight of her internship last summer with Amazon's Web Service team in Phoenix was a side trip to Seattle for a hackathon to benefit Seattle Children's Hospital. Over the 24-hour event, Boyd worked with a team of other interns and Amazonians to create a non-verbal Alexa cue for emergency situations. "It was my first-ever hackathon," Boyd says. "I was working with an incredible team of four other women in computer science, so that was empowering in and of itself." Boyd plans to return to Amazon for a second internship next summer. Having switched majors from electrical engineering to computer science at the beginning of the year, she likes that Amazon offers career paths in both fields. The experience last summer, she says, bolstered her confidence in software development. "It definitely opened my eyes to everything that computer science has to offer," she says. "I didn't realize how many directions you can go in with just computer science alone." While it's tempting to see computer science education strictly as a pathway to a well-paid job, advocates say it can be worthwhile to gain exposure to coding whether you plan to be a developer or not. It's a way to understand the increasingly tech-driven world around us, and to build problem-solving skills and resilience that would be useful in any role. Tulipano says the courses have also inspired her students to think on a global level. For example, one senior who visited the Philippines to see family, came back upset by the levels of poverty and air pollution he saw. Now, as part of a module that challenges students to think about solving societal problems with code, he is thinking about how algorithms and sensors could monitor changes in pollution to inform solutions. "We opened up the world to them through this," she says. 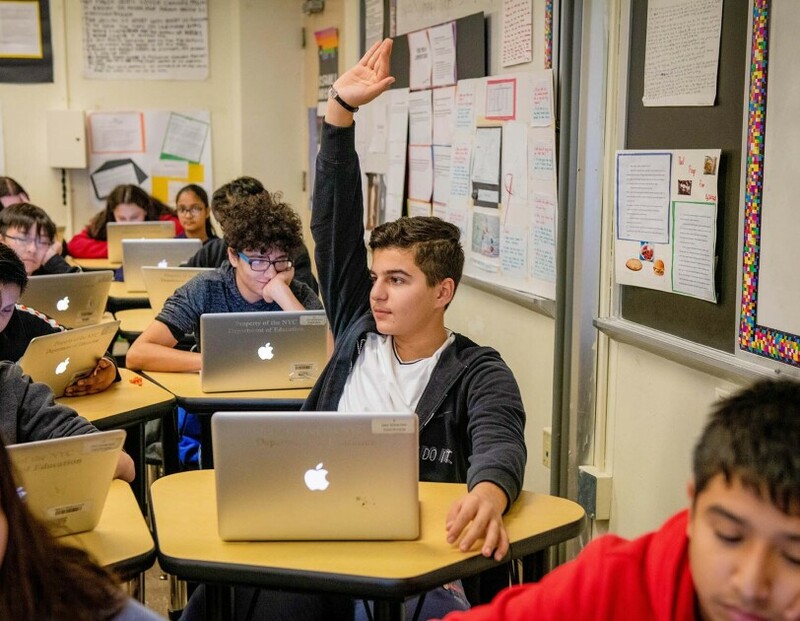 "These kids are thinking, 'I can be part of the solution now.'" Meanwhile, the engineering tables at Monsignor Scanlan's college fairs are likely to get much busier. As Tulipano notes, "Now the students in this class say, 'I can go talk to that admissions rep, because I can code.'" Teachers, schools, parents, and students can apply for Amazon Future Engineer.